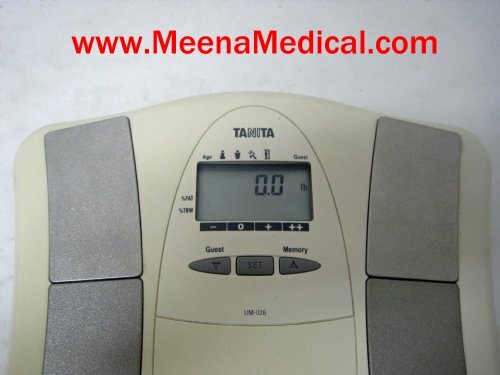 The Tanita UM-026 Digital Weighing Scale is perfect of personal use and for wide variety of medical clinics. This unit is Preowned and in Excellent Condition. Tanita Body Fat Monitor/Scales allow you to measure both weight and body fat percentage simultaneously and easily, simply by stepping on a scale. 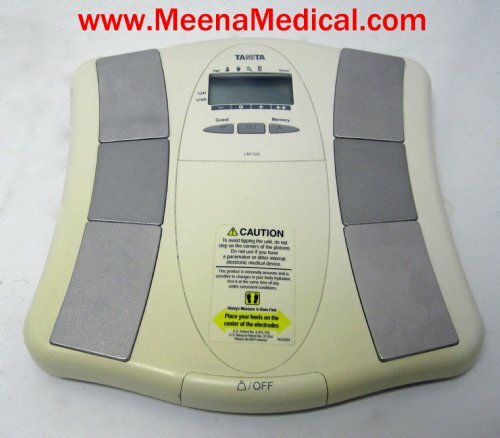 Your Body Fat Monitor/Scale can be set for Adults or Children (ages 7-17), Male or Female. Personal data (Female/Male, Age, Height) can be pre-set and stored in the personal data memory for 2 users. 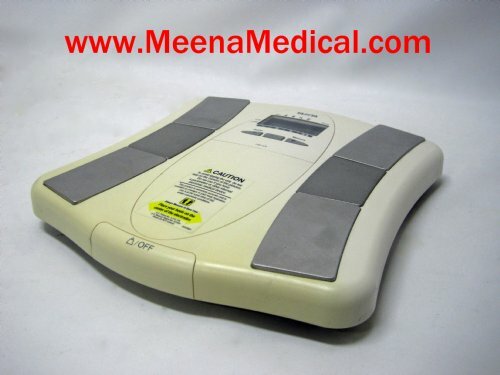 The unit emits a helpful "beep” when activated, and also at various stages in the programming and measuring process. Listen for these sounds which will prompt you to step on the unit, look at your readings, or confirm a setting. Auto-recognition feature instantly recognizes each user. Recharge Time: Approx. 16 hrs.